West Point Silver Dollar Struck at Home! 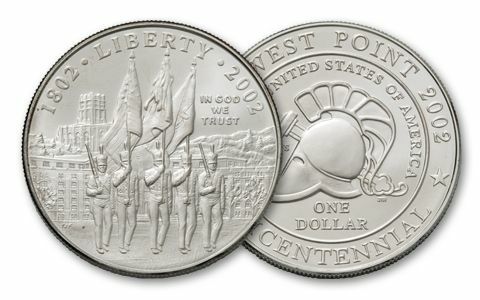 The U.S. Mint made history when it struck this Brilliant Uncirculated 2002-W West Point 90% Silver Dollar. You see, it was struck at West Point and it commemorates West Point! 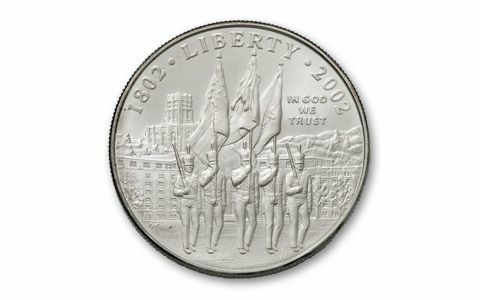 It honors the 200th anniversary of the Army's Military Academy, authorized by Thomas Jefferson on March 16th 1802. 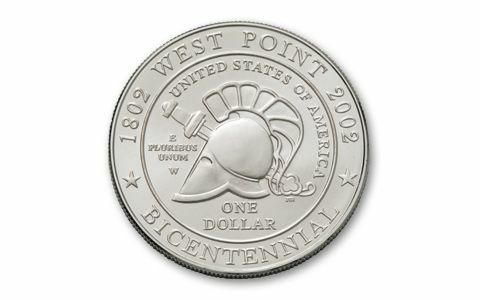 The obverse features the Academy Color Guard in Parade and the reverse shows the West Point Bicentennial logo. This is also becoming a hot item with Civil War buffs as Lee, Sherman, Meade and countless other Civil War generals were graduates of West Point. Get yours now!